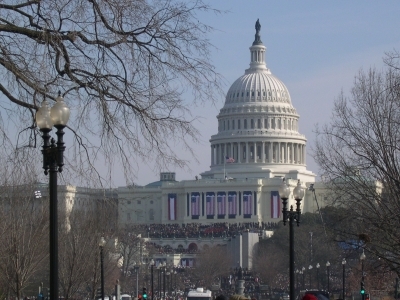 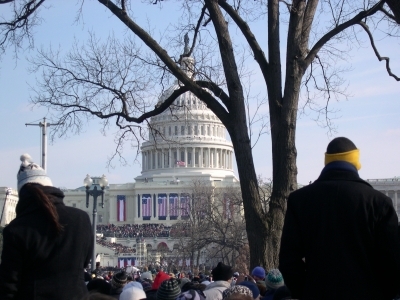 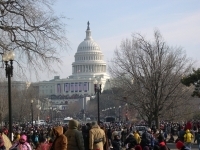 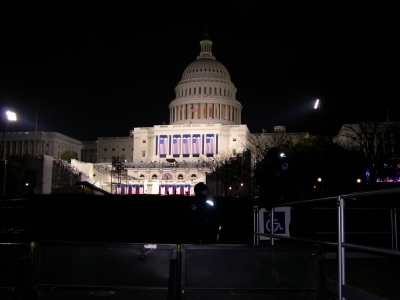 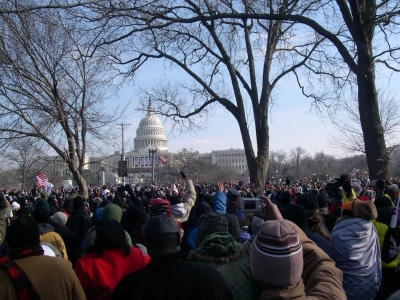 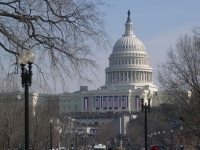 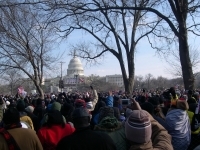 The Capital on the eve of the Inaguration. 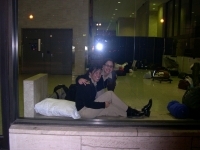 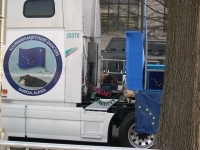 The National Guard resting in the lobby of a government building. 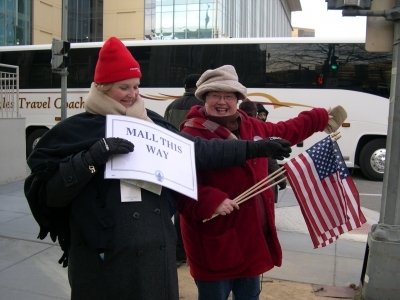 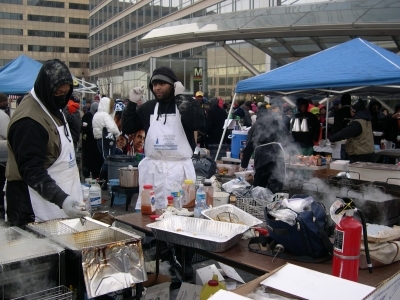 Volunteer directs us to the Mall. View of Capitol from the Museum of the American Indian. 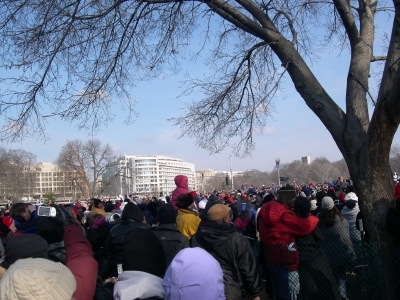 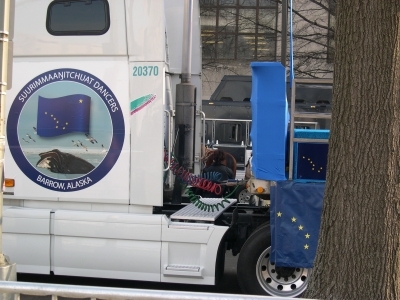 Independence Avenue side. 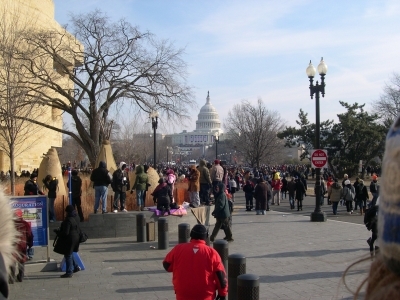 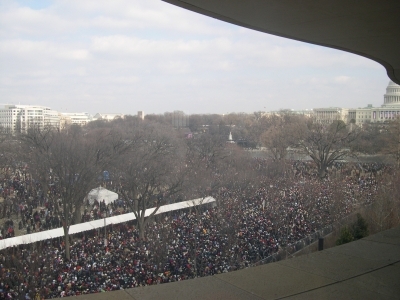 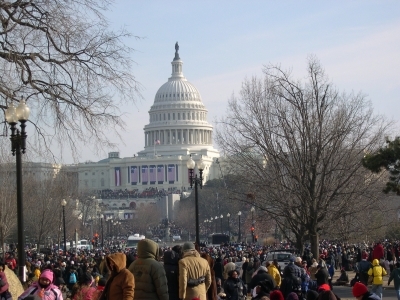 View of The Mall from the top floor of the National Museum of the American Indian, after the Inauguration ceremony. 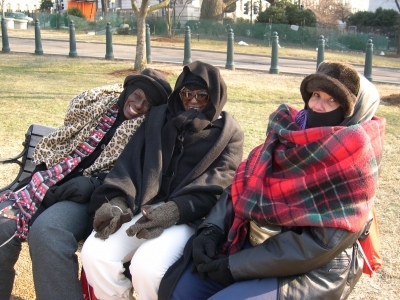 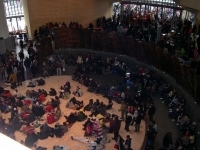 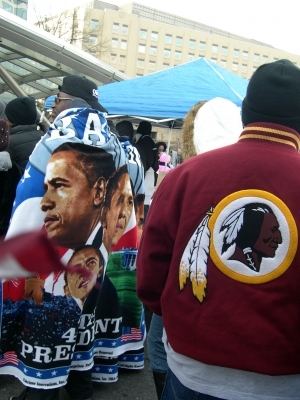 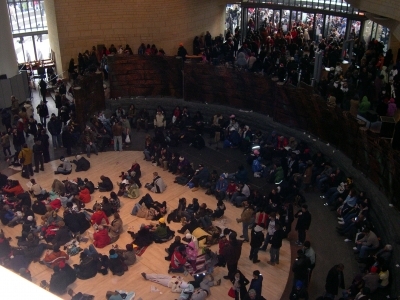 Cold, tired but happy people warming up in the lobby of the Museum of the American Indian after the Inauguration. 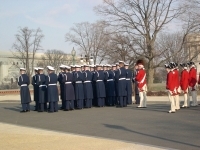 The Marine Guard waiting for our new President to lead the parade to the White House following lunch at the Capitol.